This new resource for small group discussion is a colourful guide to Laudato Si’, bringing to life in photos, cartoons and stories this ground-breaking and challenging encyclical from Pope Francis. 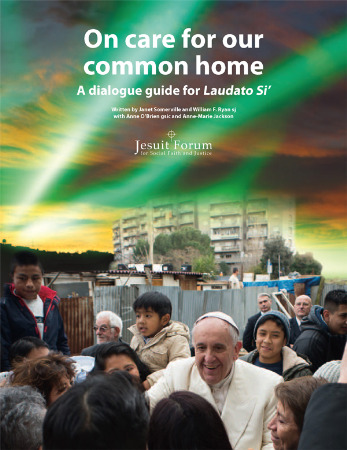 On Care for Our Common Home: A Dialogue Guide for Laudato Si' offers a way to engage in the dialogue the Pope is calling for. It comprises key quotes from the encyclical, exploration of the content and questions for groups to foster deeper engagement.